A few days before his sixty-ninth birthday, Srila Prabhupada set out for America. He got a free ticket to travel to New York from the proprietor of Scindia Steamship Company, Smt. Sumati Morarji. 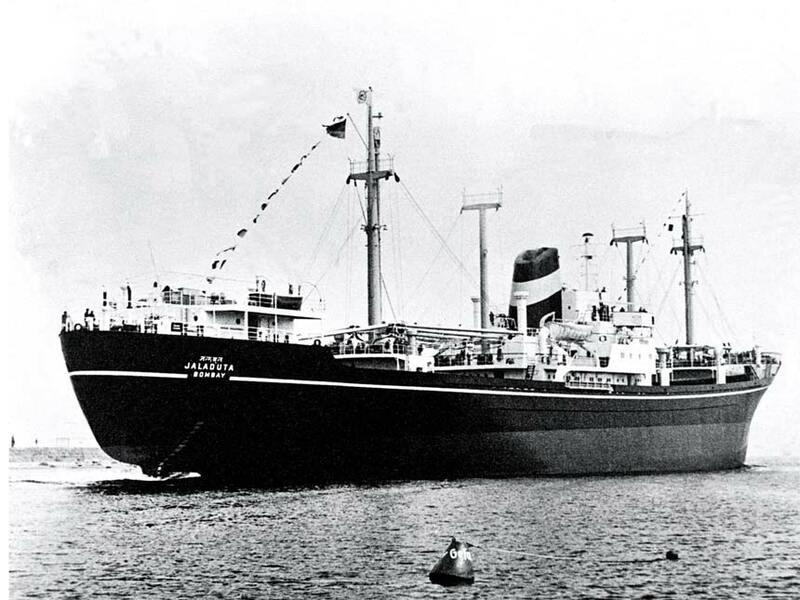 He was the only passenger on board that small weathered cargo ship named Jaladuta. In his possession were a suitcase, an umbrella, a supply of dry cereal, about seven dollars’ worth of Indian currency (approximately Rupees Forty) and several boxes of books. The Jaladuta, under the command of Captain Arun Pandia, whose wife was also aboard, left at 9 A.M. on Friday, August 13, 1965. Srila Prabhupada sat in his stuffy cabin which rolled back and forth with the motion of the sea. He suffered from sea sickness, dizziness and vomiting. He also had two heart-attacks but survived by the mercy of Lord Krishna. When the Jaladuta arrived in New York Harbor thirty-seven days later, Srila Prabhupada was utterly alone. He had come to America knowing no one, with absolutely no visible means of support, and with only the meager handful of possessions he had carried on board the ship. He had no money, no friends, no followers, not his youth, good health or even a clear idea of how he would accomplish his far-reaching objective to present the spiritual knowledge of the Vedas to the entire Western society. Several years later, a disciple discovered the diary Srila Prabhupada had kept during his passage from India on the steamship Jaladuta. (This diary is available in the form of an e-book: The Jaladuta Diary.) Inside was a poem, handwritten in Bengali, that Srila Prabhupada had written on board the ship just after it had arrived in Boston harbor. The poem beautifully captures Srila Prabhupada’s first impressions of Western civilization and reveals his heartfelt determination to change the consciousness of America. My dear Lord Krishna… How will I make them understand this message of Krishna consciousness? I am very unfortunate, unqualified and the most fallen. Therefore, I am seeking Your benediction so that I can convince them, for I am powerless to do so, on my own. I am sure that when this transcendental message penetrates their hearts, they will certainly feel engladdened and thus become liberated from all unhappy conditions of life. This poem was written on September 18, 1965. Just twelve years later, on November 14, 1977 Srila Prabhupada passed away in Vrindavana, India, at the age of eighty-one. What did Srila Prabhupada accomplish during this brief period, having begun with nothing and at an age when most are ready to retire?